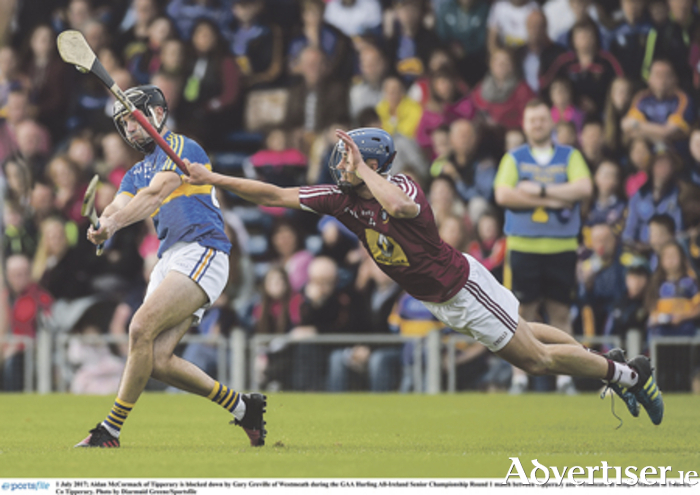 Tipperary might have progressed following Saturday’s All Ireland SHC Round 1 Qualifier at Semple Stadium, but Westmeath left the Thurles venue heartened following a defiant display. The All-Ireland champions prevailed on a 2-18 to 0-15 scoreline, but Westmeath produced a passionate performance which pleased manager Michael Ryan. “I’m immensely proud, but I know we were capable of doing this,” Ryan commented following the game. “We have a lot of good hurlers, we prepared really, really well, they played very well and our use of the ball was good. It was a pity we didn’t get a goal with seven or eight minutes to go because if we had got that goal it could have been a different outcome. Westmeath only trailed by 1-10 to 0-9 at the interval and were a goal behind at the end of the third quarter before Tipperary pulled clear. “It is only good if you build on it,” Ryan remarked. “The foundation is there now. I’ve seen teams in the past, maybe not from Westmeath, who have spent the rest of their lives talking about one good display. It was a great display, but the task now for everybody involved in Westmeath hurling is to move this on further. “The average age of our team is probably about 23 or 24 years of age, there is a lot of potential in it, but we have to keep going. You are still talking about Tipperary, they are a very formidable team. People will expect them to have a decent chance of winning the All Ireland and they have that. Having been so competitive initially Westmeath felt that a shock win was a possibility at the interval according to Ryan. “We felt we had a good chance of winning this game at half time provided we realised the next 10 minutes were going to be vital. We actually did and were still only three points down with 15 minutes played or 55 minutes played. There was great belief which is a tribute to the lads as well. They aren’t just content to play well, to be the bridesmaids, these fellas are hungry for success.